Over the weekend, X-Men fans were treated to a first look at Deadpool 2 via a short film made exclusively for the release of the blockbuster superhero hit Logan. As it turns out, there are multiple cuts of the video. And today, 20th Century Fox has released an alternative version that adds an extra bump at the end while changing some of Wade Wilson's dialogue. Other than that, this version is quite similar to what was shown in theaters. It is still a riff on the classic costume change first made popular by Superman. Wade Wilson hears a scuffle in an alleyway and he runs to a phone booth to change into his Deadpool costume, which doesn't look to have gotten much of an upgrade since the last time we saw it on the big screen. It takes Wade too long to climb into his red jumpsuit, and ultimately, the poor mugging victim is shot and killed, left to linger in the dirty streets with his overturned bag of groceries. While many found the short to be fun, others though it was 'just all right' and a bit dated with its phone booth gag, especially in this era of smartphones. If you were in the camp that didn't care for what was put on display, you won't find this new cut any more appealing. Deadpool does find new ways to insult the dead here, and it's funny enough for a quick look. Unlike the original movie, though, it won't rejuvenate or alter the superhero movie landscape by any means. The short is officially titled 'No Good Deed', and it was directed by Deadpool 2 helmer David Leitch, who stepped in when Tim Miller departed the project. This version omits the Stan Lee cameo, which has been in and out of the various versions released thus far. There is still part of the cameo that hasn't been seen publicly, at least as far as we know, which has Stan the Man mistaking Wade Wilson for Ryan Gosling. The Mere with the Mouth mouths off some funny musings at the end, here, that haven't been heard before. He doesn't mock Hugh Jackman's Australian accent. Instead, he takes a little more time to savor that found ice cream that once belonged to the dead man he now uses as a pillow. The more observant fan (not looking at you Brian Gallagher), will notice that there is a different song coming out of the earphones. These are all just little tweaks and fixes. While many of the Easter eggs have been pour over all ready, there is also speculation, due to some well placed graffiti, that the X-Men character Hope Summers may be introduced in the movie. Hope Summers is an Omega level Mutant who served as a vessel of the Phoenix Force with an ability of unspecified limits to psychically manipulate and mimic the powers of other mutants. Here's more from Wikipedia. "Her ability is primarily manifested as mimicry of the superhuman mutant abilities of those near her, however, she has demonstrated additional powers. When she was born, she unleashed a massive psionic pulse that destroyed Cerebro. Hope Summers can also mimic mutant powers at their utmost capacity. However, she generates power levels that are potentially dangerous to people and the environment around her." In the comics, Hope is saved by Cable, who has no direct relation to her, though they share the same last name. Cable who goes by the name Nathan Christopher Charles Summers, is the son of Scott Summers, aka Cyclops, who is Hope's adoptive grandfather. Hope has not been confirmed for Deadpool 2, but earlier today, it was announced that Cable's girlfriend in the comics, Domino, has been cast and will be played by Zazie Beetz. 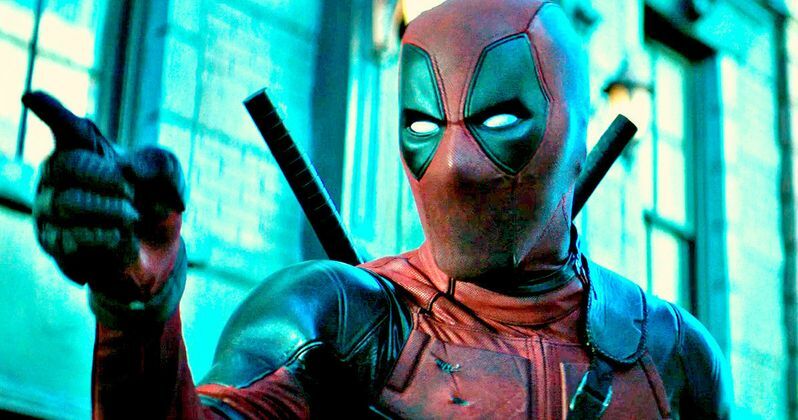 Deadpool 2 is expected to go into production this summer. This teaser contains footage shot specifically for the release of Logan and will not be seen in the upcoming sequel. And the writers of the movie have confirmed that this has nothing to do with the impending release and is a standalone short not an official trailer. You can check out the alternative version here along with the original released over the past weekend.